The Senate is set to order its Joint Committee on Finance, Judiciary, Human Rights and Legal Matters to commence a probe into perceived loss of revenue into the Consolidated Revenue Fund of the Federation. The loss is said to have occurred through the breach of the Fiscal Responsibility Act (FRA) as well as alleged breach of public procurement laws and regulations by Central Bank of Nigeria (CBN), Nigerian National Petroleum Corporation (NNPC) and other government agencies. The directive is fallout of a motion to be moved by Senator Ita Enang (Akwa-Ibom North-east), alleging breach of Section 80 (1) of the 1999 Constitution, which stipulates that all revenues raised or received by the federation shall be paid into the Consolidated Revenue Fund of the Federation. The motion is also aimed at determining why the balance of their operating surplus is not paid into the Consolidated Revenue Fund and why affected agencies have failed to establish a general reserve fund for the purpose of allocating one-fifth of their operating surplus at the end of the year to the Consolidated Revenue Fund as stipulated in Section 22 (1) and (2) and Section 23 (1) of FRA. The committee is also expected to determine whether funds spent by agencies listed under FRA exceeded 20 per cent of their revenue surplus and if it is so, where and when the remaining 80 per cent operating surplus was paid. The committee will also determine whether these agencies are not bound to submit their procurement to the Bureau of Public Procurement (BPP), which has the responsibility to vet and issue authorised certificates before going ahead with such procurement. The motion was spurred by the alleged abuse of office by CBN which is believed to have derailed from its core functions to other responsibilities such as donations of a whopping N50 billion to tertiary institutions when in the real sense, its duties are to ensure monetary and price stability, issue legal tender currency in Nigeria, maintain external reserves to safeguard the international value of the legal tender currency, promote a sound financial system in Nigeria, and act as banker and provider of economic and financial advice to the federal government. Other factors giving rise to the motion include the yet-to-be-remitted $10.8 billion by NNPC as well as N255 million spent by the Nigeria Civil Aviation Authority (NCAA) to purchase armoured cars for the Minister of Aviation, Ms. Stella Oduah. 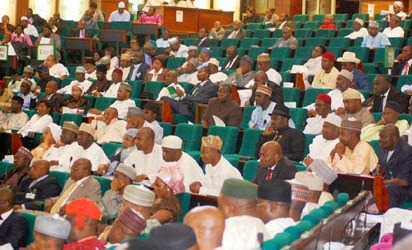 Enang, had in the written motion meant to have been presented on Wednesday, but which was stood down as a result of the executive session held by the senate over the defection letter of 11 senators, added that CBN had in breach of the constitution and FRA, failed to pay its operating surplus to the Consolidated Revenue Fund for appropriation by the National Assembly and instead had cultivated the habit of awarding contracts using such funds. He listed the contracts that had already been awarded as well as proposed projects by CBN to include N98 billion for International Convention Centre, Abuja; a N14 billion project in University of Lagos; N12. 9 billion contract in University of Maiduguri; N11.3 billion project in Nigeria Defence Academy; N10.2 billion contract in the University of Port Harcourt; N9.5 billion project in University of Jos; and N6.8 billion contract award in University of Nigeria, among several others.